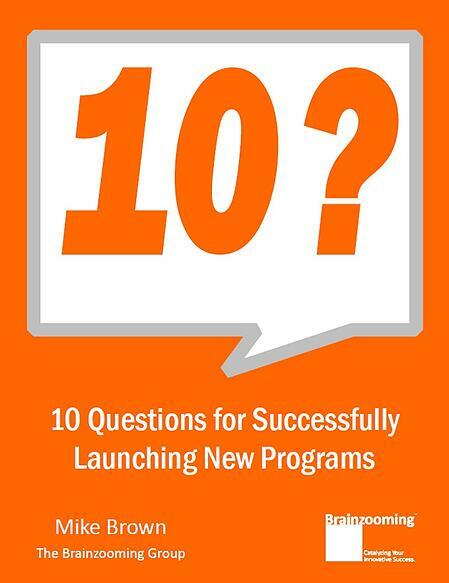 FREE Download: "10 Questions for Successfully Launching New Programs"
Launching a new program is an ideal time to make sure you push for aggressive results. Part of doing that involves asking the right questions to start implementation down the best, most successful path. This Brainzooming eBook will help you get off to a fast AND smart start with all the new initiatives you launch.